Need a crisis communication plan and don't know where to start? Our crisis communication plan example outline shows you the six important parts of a plan. Use the template to begin gathering the necessary information for your company to build an effective crisis communication plan. 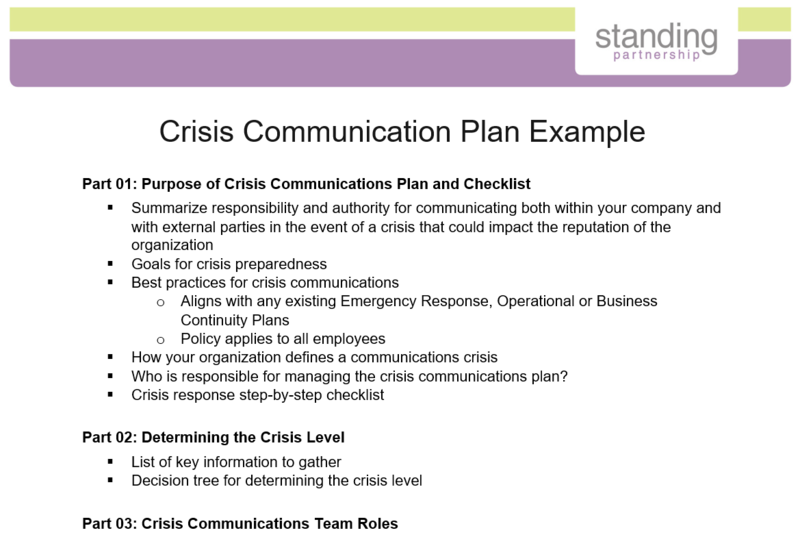 Download your crisis communication plan example and get started today!